A classic Volkswagen T25 Caravelle pop-top campervan for that special road trip exploring New Zealand. 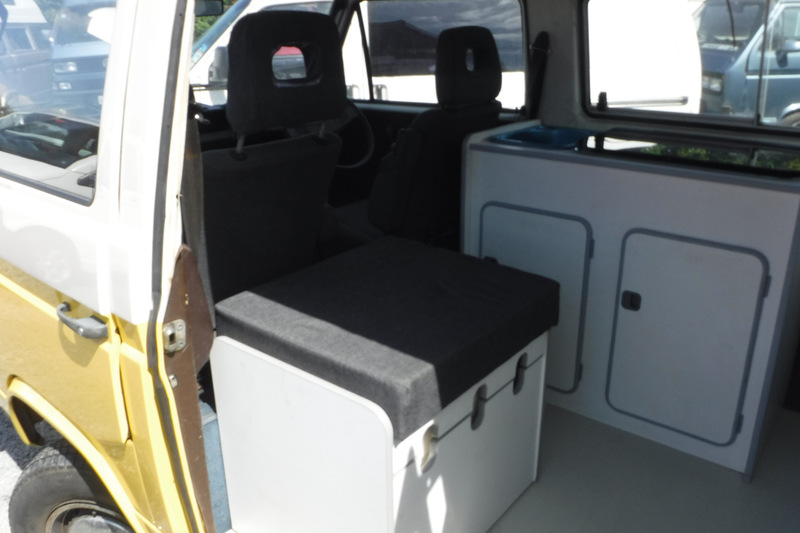 This unique fun VW offers a classic and economical 4 berth campervan rental option. We love these campervans as much as you will and they are a sure-fire conversation starter at campgrounds. Driving this campervan is pretty easy with a super smooth automatic transmission, no power steering though, so stock up on the Weetbix to power the biceps. Certified for self-containment. Ideal for cruising from one Freedom campground to another. The poptop will sleep two children in a generous double mattress, ease out the RocknRoll seat for a double bed in the cabin for two adults, optionally a fifth child could sleep in a drivers cabin hammock. 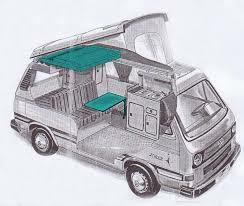 The cabin layout is based around the popular & familiar Westfalia kitchen cabinetry. Recently repainted, this is a real cutey. We like to look after ‘Daisy’ and is she better suited for leisurely travelling, so only North Island rentals accepted unless by prior arrangement. Power Supply:240v Mains Campground Hookup, Power cable lead, 12V cigarette lighter with USB adapter for charging phones.